My name is Mike Barnes. I was born in England and later migrated to Australia. I now live in Sydney. University and study (anthropology) became an interest late in life. See: Acadaemia.edu for more bio information. Mike has taught tutorial classes on a casual basis for introductory anthropology, human evolution, and sociology since August 2005. 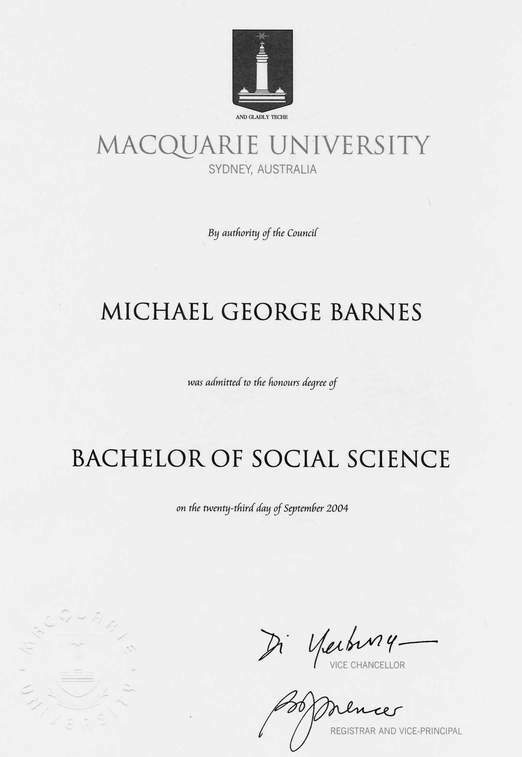 From Sept 2007 to Nov 2007 he held a fixed-term, part-time appointment in the Department Of Computing, researching student assessment methodology and implementation, with a disciplinary emphasis on higher education. Mike is a Member of the International Dance Council CID (The United Nations of Dance), a UNESCO organisation. Student in a post-graduate higher education unit (2007). Voluntary involvement in a teaching research project in on-line role playing (EnRoLE) funded by the ALTC (Carrick Institute) – 2007 ongoing, see honours and awards below. 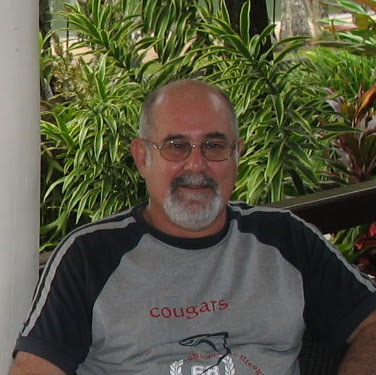 Committee member on an Assessment Working Party developing an assessment policy for Macquarie University (2007). 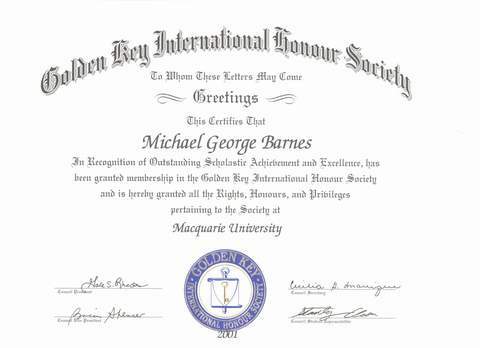 Member of Golden Key International Honour Society. 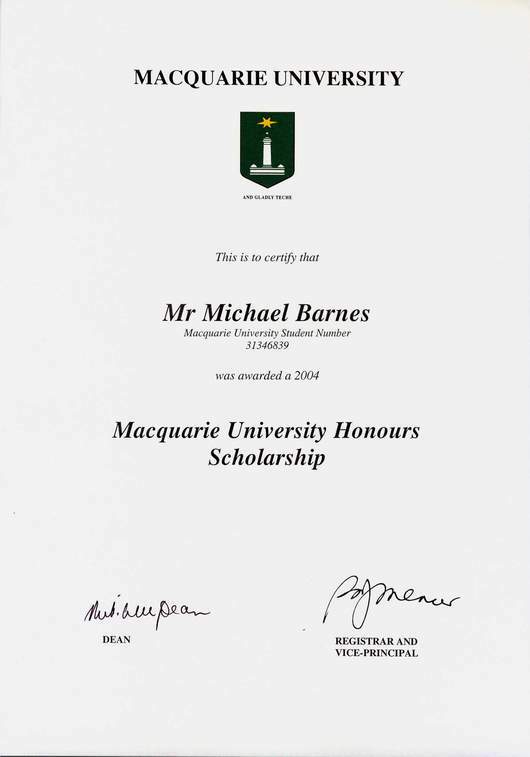 Awarded a Macquarie University Honours Scholarship (2004). Accepted as an EnRoLE Fellow (2008 NSW fellowship initiative of project EnRoLE – a collaborative partnership between the University of Wollongong, University of Sydney, University of New South Wales, University of Technology Sydney and Macquarie University. Barnes, Michael G. 2008 Contours of Culture: Complex Ethnography and the Ethnography of Complexity [Book Review] [online]. Qualitative Research Journal; Volume 8, Issue 2; 2008; 153-155. Availability:http://search.informit.com.au/documentSummary;dn=425738481301643;res=IELHSS ISSN: 1443-9883. My honours thesis is titled Anglo-Celtic Australians’ Perspectives of Multiculturalism. If you want to refer to this work, please feel free to do so, but you will need to cite the document appropriately. I would also ask that you let me know that you have cited it, and in what work. In Australia, the term multiculturalism has been used to denote government policy rather than the description of a country as multicultural. The aim of this paper is to examine some previously unexamined perceptions that Anglo-Australians of the baby-boomer and preceding generation have of multiculturalism and immigration policy. A primary focus is on how a particular cohort of Anglo-Australians in Sydney experiences the presence of immigrants of perceived different cultural backgrounds. I discuss how this cohort has been mostly ignored in theoretical and empirical studies of multiculturalism. I was able to examine if new data was to be found in the voices that were missing in the debates surrounding multiculturalism and immigration policy. The people I studied lived in areas isolated from cultural difference and were not publicly vocal in the debate. I conclude from my study that these people drew meaning from both local and national contexts. In the local context, their experience was often a folkloric one and they did not think much about multiculturalism and immigration. This was a view they had of multiculturalism that celebrated cultural diversity. This view contrasted with the one they had of other parts of Sydney. This view was mostly constructed from information that they encountered in the media. It resulted in what other writers identify as white Australian nationalist discourse. I argue that the anxiety they demonstrated when they called for greater assimilation of immigrants was derived from fears associated with different value systems.